In recent years, the labour market for highly qualified jobs has been changing dramatically and so have the skills required to enter it. The labour market is today a fast-paced environment that demands the ability to quickly translate the theoretical knowledge gained during one’s academic education into ready-to-use professional skills. But what are professional/career skills and how can they be derived from theoretical knowledge? 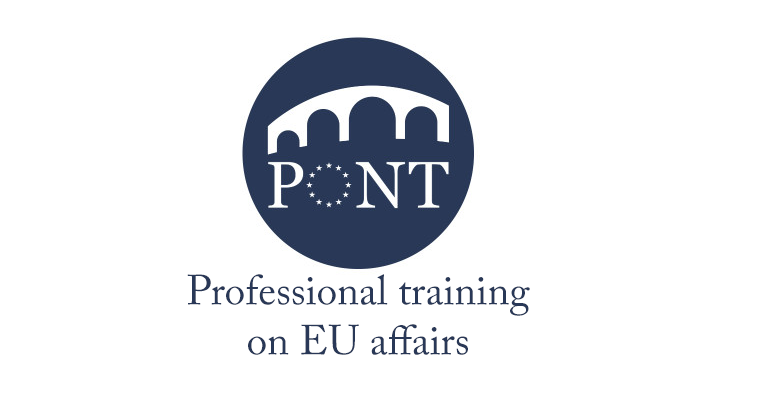 Answering these questions was one of the purposes of the project ‘PONT – Professional Training in EU Affairs’, carried out by the Trans European Policy Studies Association between September 2015 and August 2018 with the support of the European Commission’s Erasmus+ programme (Jean Monnet Activities). This handbook is one of the outcomes of the PONT project, which has overall trained more than one hundred young graduates, has implemented three core kinds of activities (Working Europe Seminars, Career Skills Trainings and Pre-Presidency Conferences) and has given rise to a number of sustainable impacts – including the publication of a policy brief series to give visibility to the work of young researchers, the creation of a sustainable network of PONT alumni and the interaction of young graduates with leading academics and policy makers. The purpose of this handbook is to shed light on the process behind the organisation of PONT’s Career Skills Training, and thereby identify challenges, lessons learnt and best practices that can help other actors in the organisation of similar trainings. 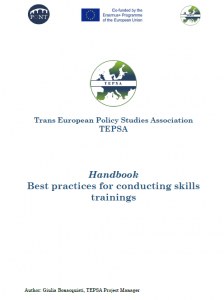 Our hope is that TEPSA’s experience will be useful for the organisation and for enhancing the quality of future professional skills trainings, for which there is an increasing demand both from today’s young graduates and today’s fast-changing labour market. 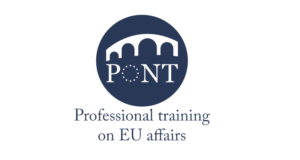 The PONT handbook was developed by Giulia Bonacquisti, Project Manager at the Trans European Policy Studies Association, and it is available here.